Don't leave money on the table. Learn how to effectively manage your work expenses so you are compensated accordingly with these few easy tricks. Developing a trusted system to capture reimbursable expenses is worth the time and effort. If you skip this process, you’re at risk for leaving money on the table and missing professional development opportunities. Most firms offer reimbursement for: (1) taxi rides home if you work after a certain time; (2) meals if you work late or if you work on the weekend; (3) bar association dues / membership fees; (4) professional development; (5) business travel; (6) mobile phone data plan; and (7) business development expenses. If you are a junior associate, some of these reimbursement opportunities may not be available to you. It’s still important to have a robust system to capture all reimbursement expenses. Too often, associates miss reimbursement opportunities during their busiest time. Take the time now to develop a system. For this task, I use a program called You Need A Budget. I record all spending in YNAB and categorize firm expenses as “Reimbursable”. This allows me to track expenses where I am expecting a reimbursement. I submit the expenses for reimbursement either in real time, or more likely at the end of a deal when I finally come up for air. When the reimbursement money arrives in my checking account, I record the entry in the same “Reimbursable” as an inflow. If the category does not equal zero at the end of the day, I know that an expense either didn’t get submitted or somehow got rejected along the way. Waiting on a $375 reimbursement. It’s definitely not important that you use YNAB (although budgeting is for professionals). Previously, I used a simple spreadsheet to keep track. Before I used a spreadsheet, I pinned each receipt in my office and threw them away when I received the reimbursement. The point is that you need something that will work when you’re sleeping 5 hours a night. Just like billable time, you can’t trust that you’ll be able to reconstruct all expenses once the deal/case is over. Uber/Taxi Home from Work. Most firms will reimburse you if you leave the office after a certain time (e.g. 8:30pm). Learn your firm’s policy and take advantage when it makes sense. I find Uber convenient because Uber emails me a receipt at the end of the ride which I then forward to my assistant for reimbursement. Overtime Meals. If you work late (e.g. 7:30pm), often firms will reimburse you for a meal. In my experience, most firms set up an account with Seamless and allow you to order from using a client matter code. You may be able to carry in meals as well, though check your firm’s policy. Free dinners, especially as a first-year associate, often leads to unintentional weight gain. It’s the ultimate combination of stress, free food and restaurant sized portions. If you’re looking to skip the excess calories, consider a service like Munchery where you can order a week’s worth of food and then only charge the meals where you work late. Bar Association Dues/Membership. Anything associated with your license is likely reimbursable by your firm. Make sure to submit your membership to the American Bar Association, your license renewal fees, etc. Mobile Data Plan. In the old days, a firm handed you a Blackberry when you started and trained you to dread the flashing red light. With the death of Blackberries, many firms have switched to reimbursing you for the data plan while you use your own device. The reimbursement amount might be $60 a month regardless of how much you’re spending on your data plan. Professional Development. Some firms offer reimbursement for professional development. Professional develop expenses might include attending conferences or purchasing books or other items (like the ones I consistently recommend to corporate lawyers). These reimbursements are different from CLE credits. Many firms have a contract with a CLE provider like PLI. For professional development, I’ve found courses at places like CreativeLive and Udemy great for skill building. Keep in mind that your firm may cover professional development books you are already purchasing. Business Travel. Travel for work is a reimbursable expense. Make sure you capture all travel expenses. Business Development. Firms have different policies on business development expenses. Some firms will allow you to reimburse lunches and entertainment to encourage you to develop your own book of business or to strengthen relationships between the firm and its current clients. This means that your lawyer friends working at banks, private equity firms, corporations, etc. are fair game for lunch or evening events. Target events you wanted to attend anyway and pay for your friends to come. It’s a win/win situation for you and the firm. Do you take advantage of your firm’s reimbursement policies? 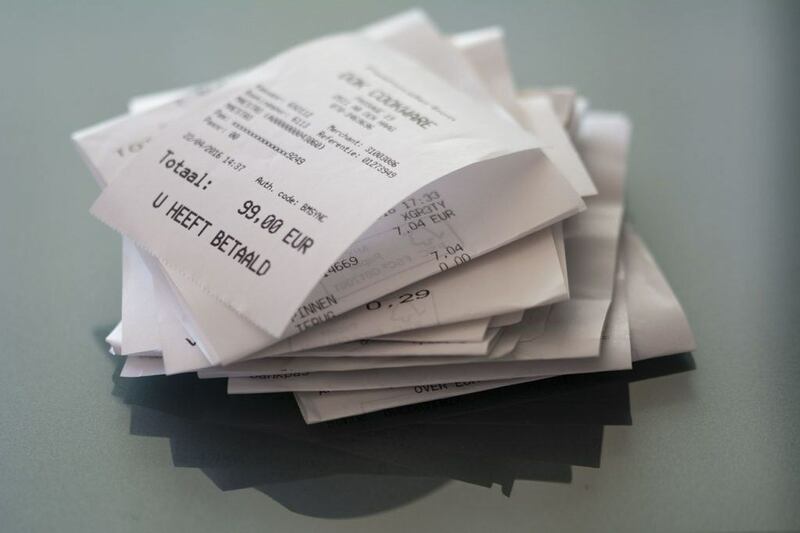 Do you have a system for capturing each expense and ensuring that each expense is reimbursed? What reimbursable expenses did I miss in this post? Let us know in the comments. Maybe I should consider a career in BigLaw? Haha, I may have left out the part about taking on $200K in debt and spending three years in law school. But it’s amazing how many people do just that, end up in Biglaw and then get too busy to make sure they are taking advantage of these reimbursement opportunities.